The local chain of Buddha Bar ordered to pay a fine, change their name and remove Buddha statues. 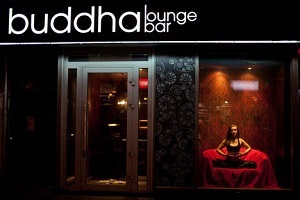 Krasnoyarsk, Russia -- The Krasnoyarsk prosecutor’s office has fined the local branch of Buddha Bar, a global chain of bars that feature Buddha statues in their interiors. The establishment has been ordered to pay a fine of 30,000 rubles ($462) for offending the religious feelings of Buddhists in Kalmykia, Buryatia and Tyva. A representative of the bar responded to the ruling with irony: “News from the prosecutor’s office. Buddha Bar has been found guilty of offending the feelings of Buddhists in Kalmykia, Buryatia and Tyva. We now have to pay a fine of 30,000 rubles, change our name and remove Buddha statues. My husband and I have been splitting our sides with laughter. I demanded he tell me how did he dare to offend so many people,” Natalya Myazina wrote on Facebook. Not long ago, the prosecutor’s office received a report from a St. Petersburg resident complaining of the insult to Buddhists’ religious feelings. She said a Buddha statue had featured in a dance routine involving naked women at the bar. Also, the bar was selling and serving alcohol. In parallel with the prosecutors’ ruling, Russian Buddhists have started collecting signatures on a petition demanding a ban on the use of Buddhist symbols at drinking establishments all across Russia. The petition calls for “state authorities to pay attention and to ban the use of the name, statues and depictions of Buddha and Buddhist deities as well as Buddhist signs and symbols in drinking and entertainment establishments all across Russia: clubs, bars, karaoke bars, and restaurants." Organizers say the petition has been signed by over 7,300 people already.